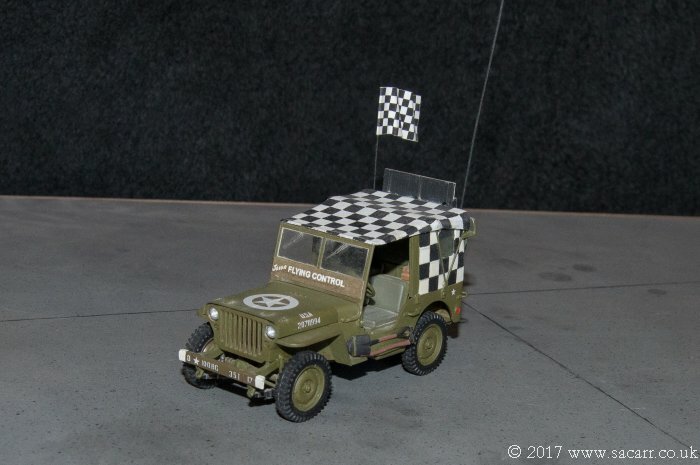 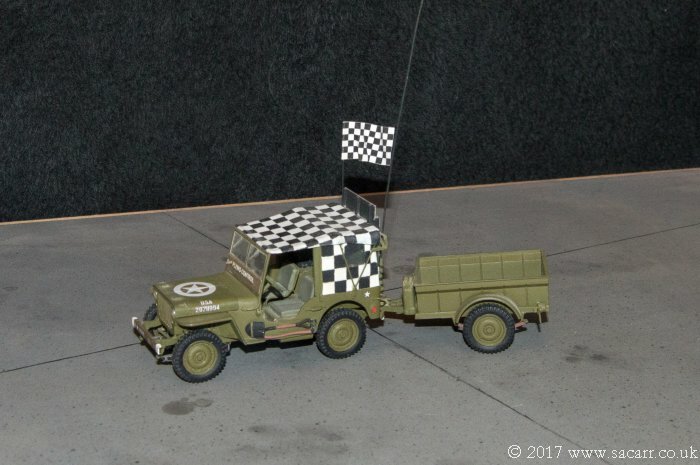 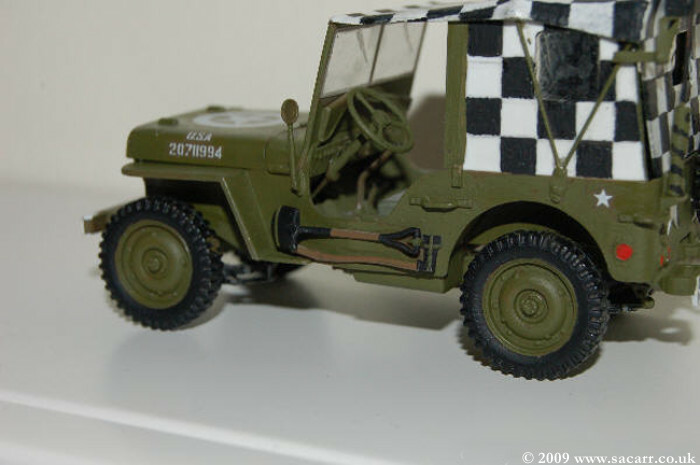 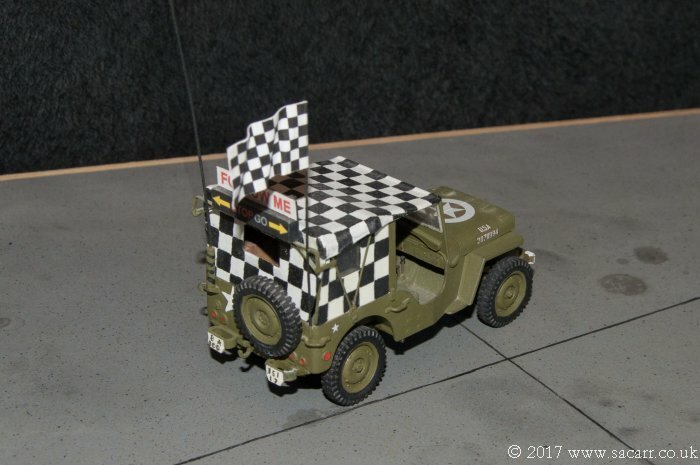 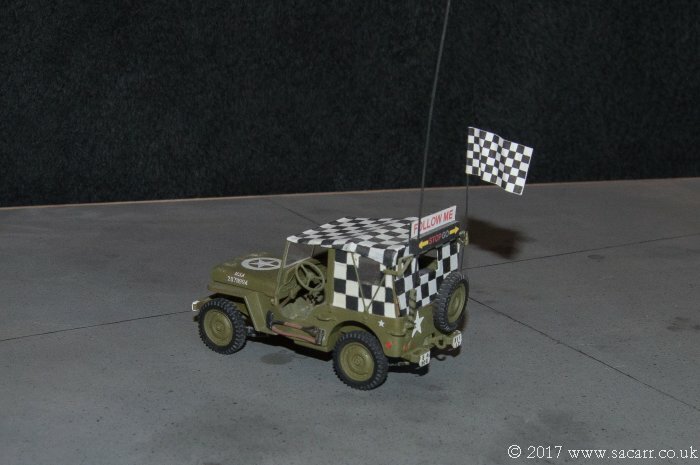 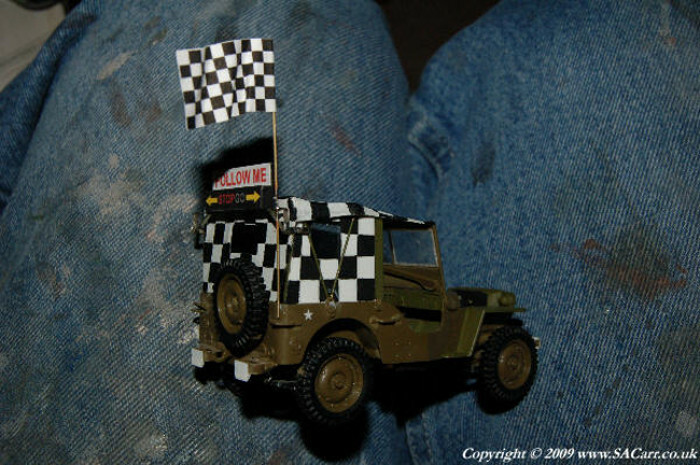 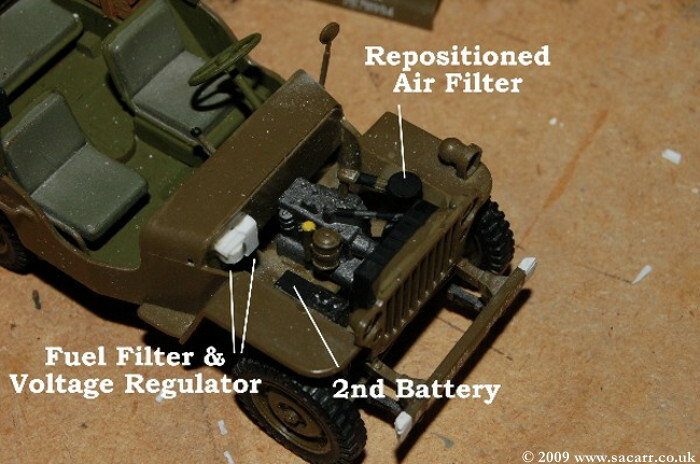 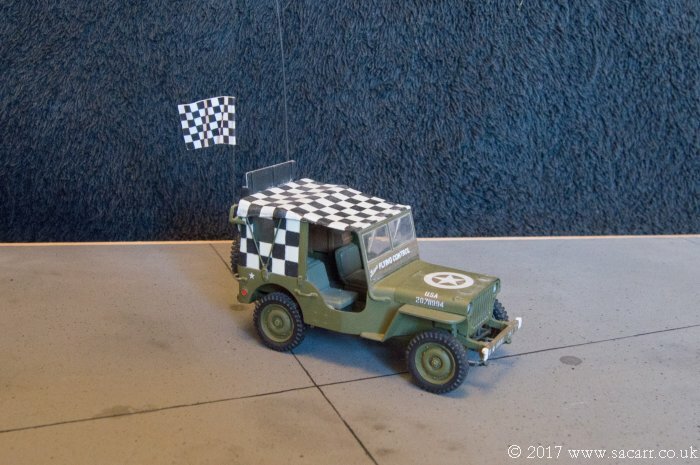 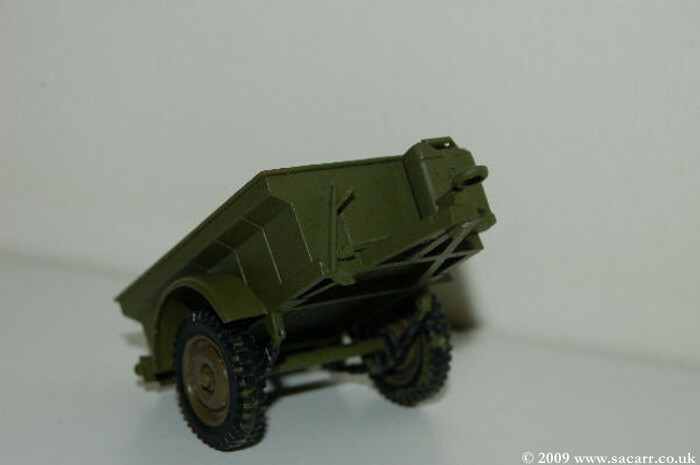 This 1/35 Scale Follow Me Jeep, is a model of my own Jeep. 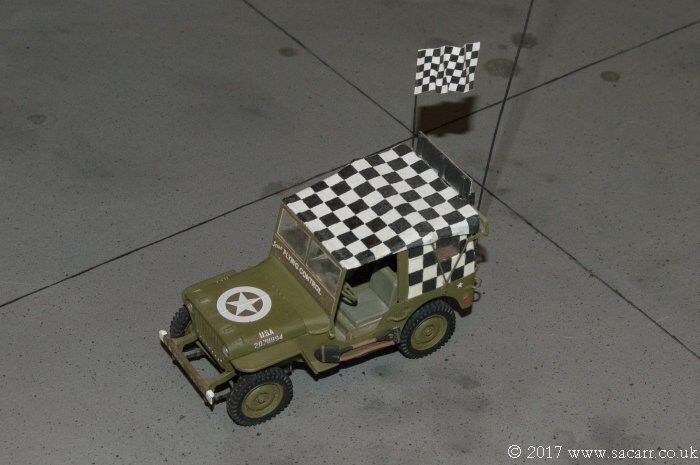 It started out as a plain green model, built purely to check the dimensions to see if the real Jeep would fit in the garage before purchase. 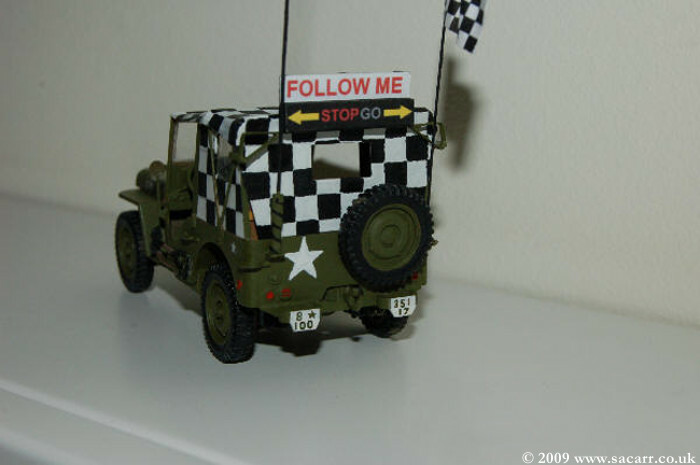 When the real Jeep was converted to a 'Follow Me' vehicle, it wasn't long before the model was also converted. 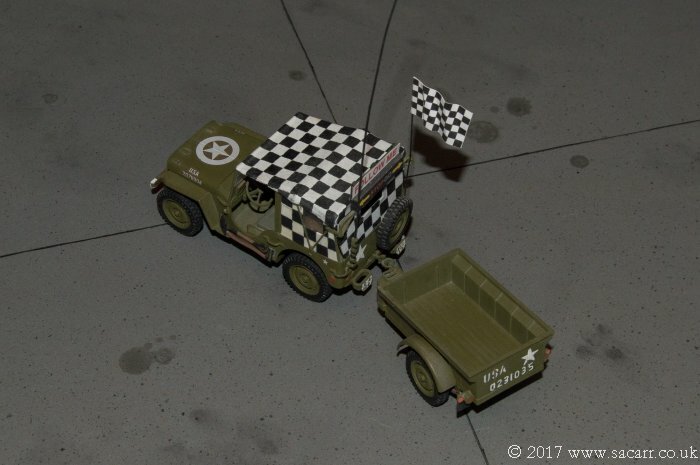 The basic kit is Italeri, with the sides, flag, aerial and follow me boards scratch built. 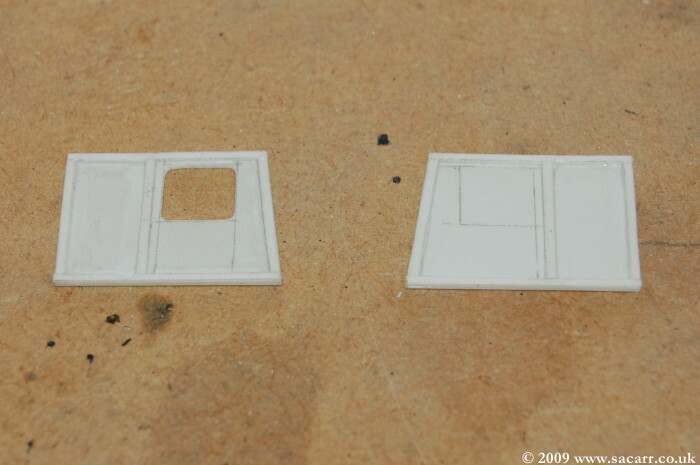 The side panels were made from thin styrene sheet with microstrip bracing. 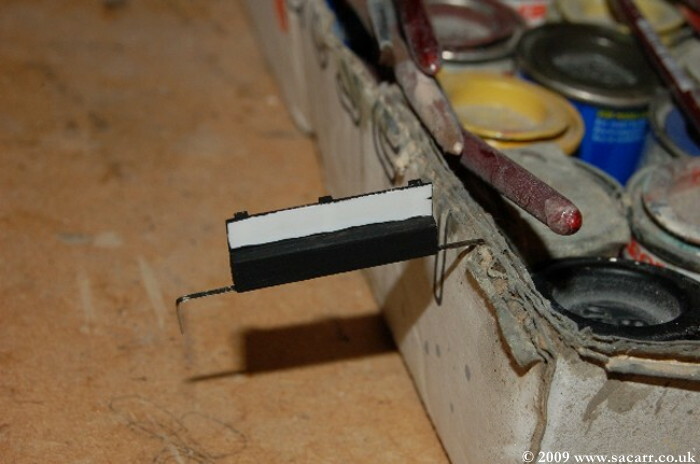 The body of the radio was made from 'Chemiwood', and is only 1/2 inch long. 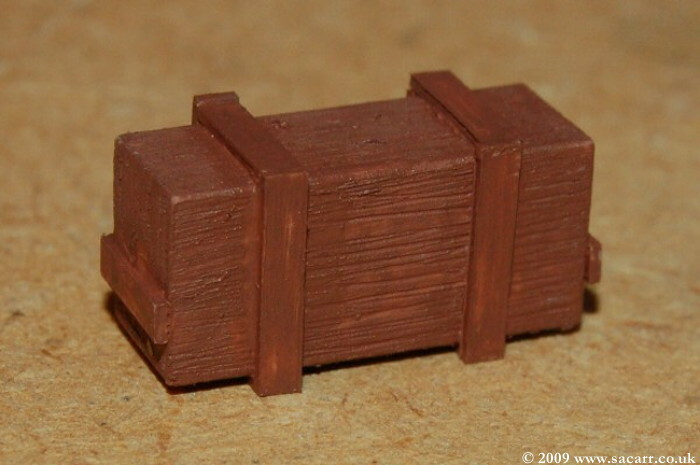 'Chemiwood' is a high density foam that can be cut, sanded, filed, drilled, tapped etc. 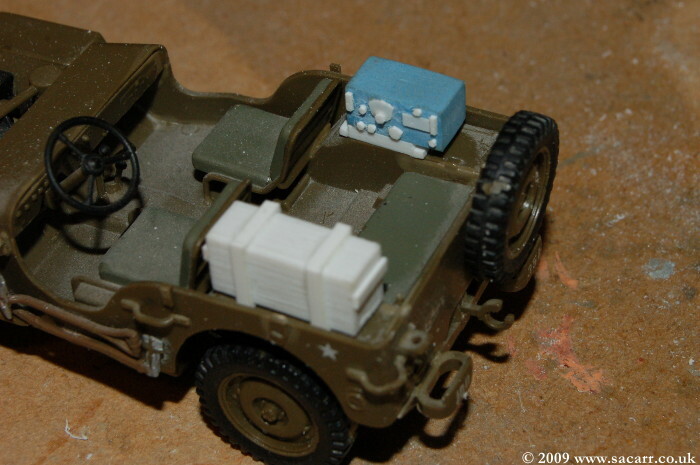 Small styrene details were glued with cyano, and would be trimmed to shape later. 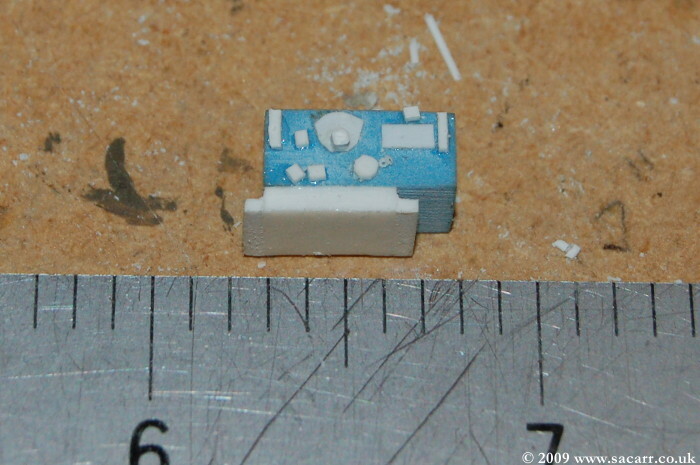 It was easier to do it this way than trying to hold a 0.5mm diameter piece of styrene. 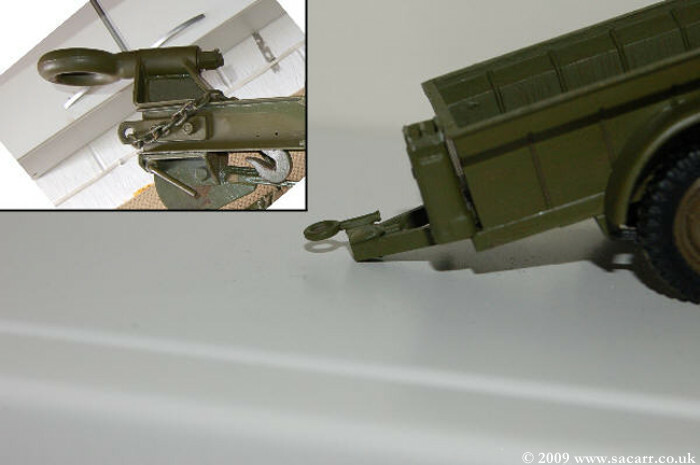 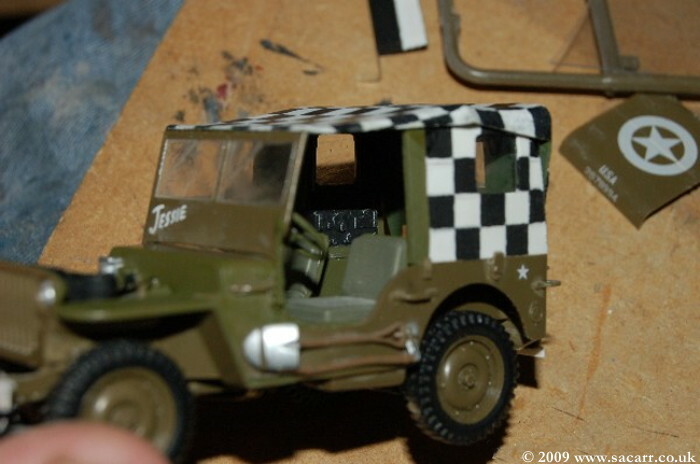 The inside of the canvas roof needed a little thinning to allow it to sit over the side panels I made, and the metal bows needed trimming off the model. 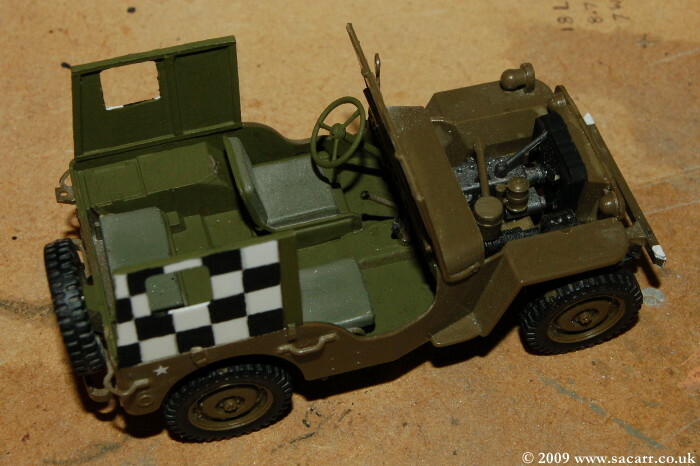 They had been glued on in the stowed, roof down position and needed cutting off to allow the side panels to sit on the body tub. 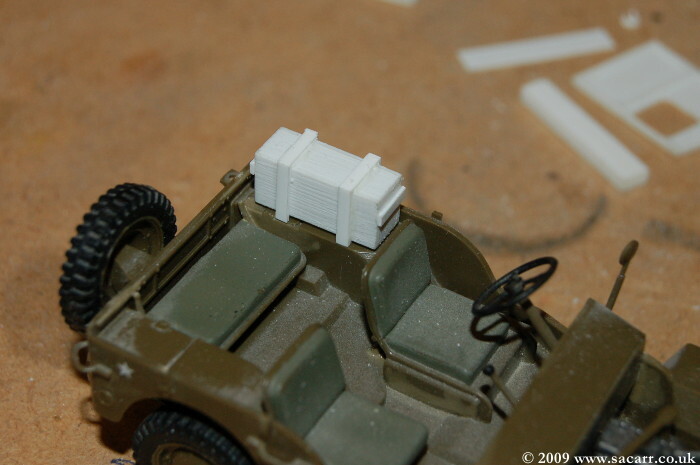 The Jerry Can on the rear of the Jeep was also removed. 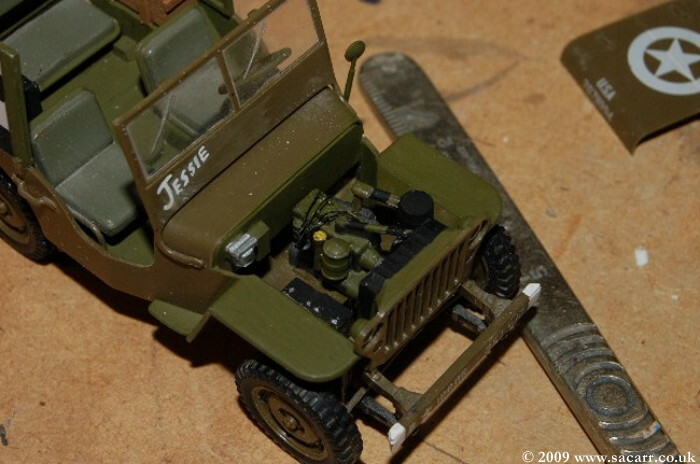 Airbase Jeeps didn't need them, and early Jeeps, such as the one I first based my restoration on, didn't have them fitted. 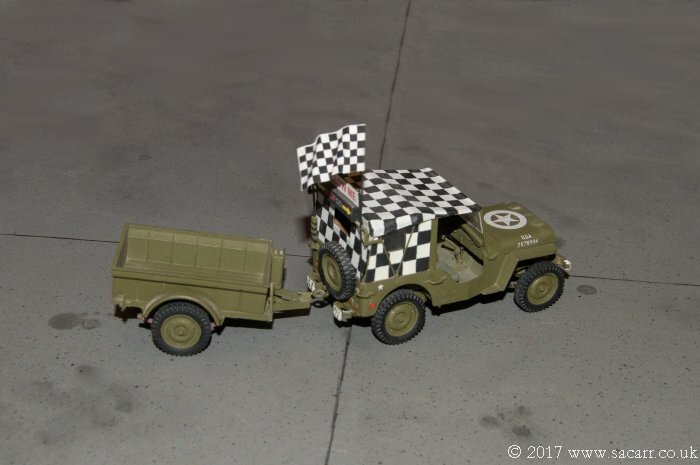 I removed the bracket from my Jeep and instead fitted it to the trailer so on long trips I can still carry extra fuel. 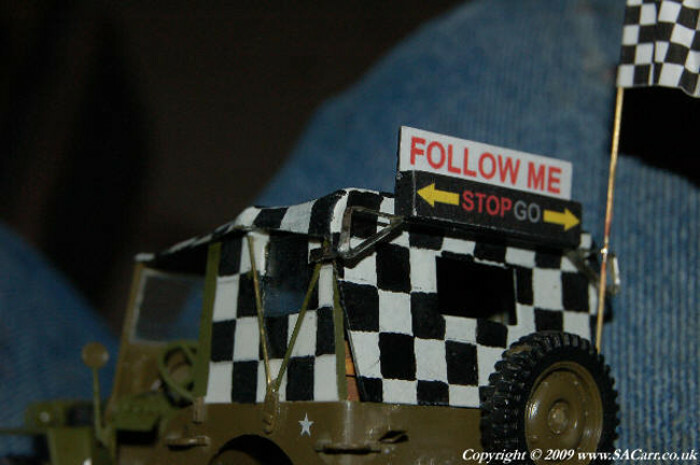 The Follow Me sign was made from strip styrene on a brass frame, with the sign itself printed from a computer. 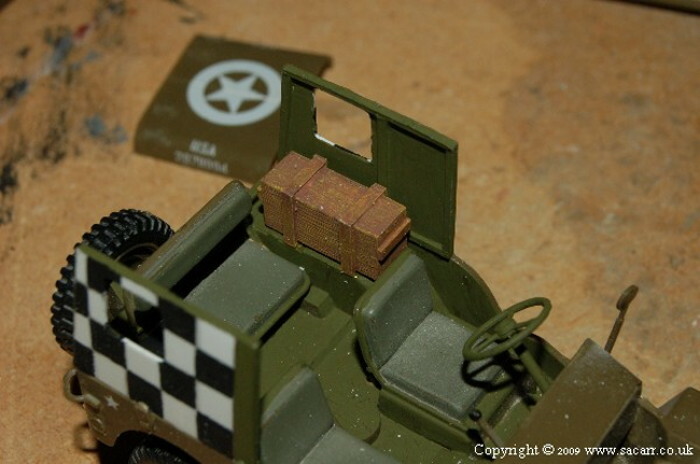 The checkered roof was was hand painted as this was the most simple way of painting the small squares. 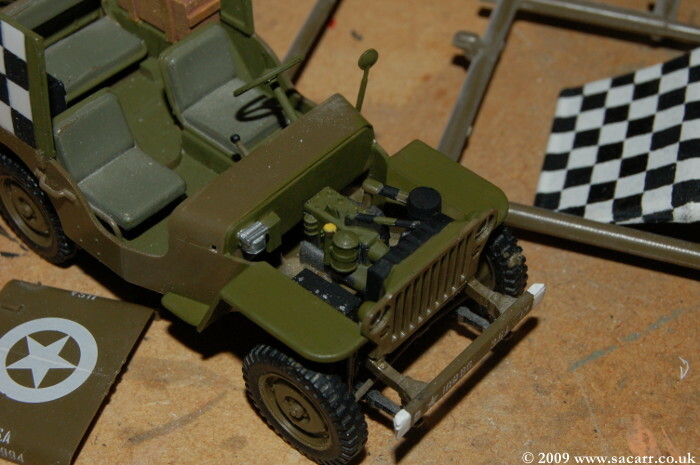 The engine bay already had some detail, but further equipment was added such as the fuel filter, HT leads, batteries etc. 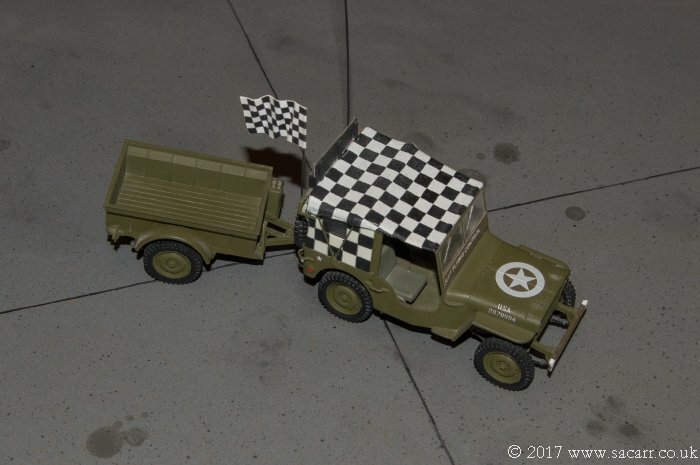 The rear bumperettes were modified to match the inverted types used by the USAAF. 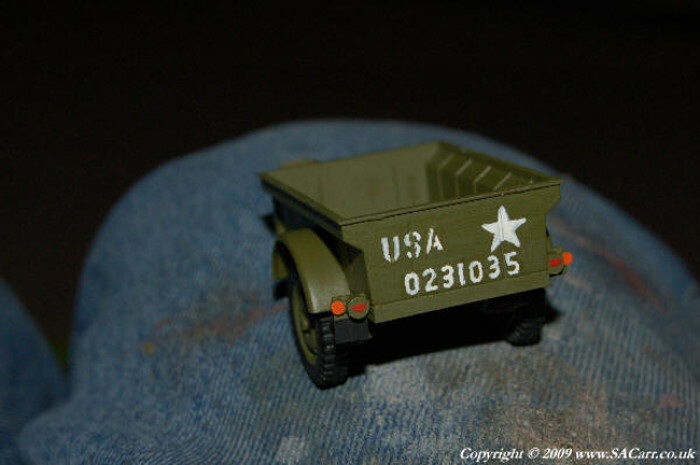 The trailer was also modified with the hitch being altered to match my trailer and lights were added.